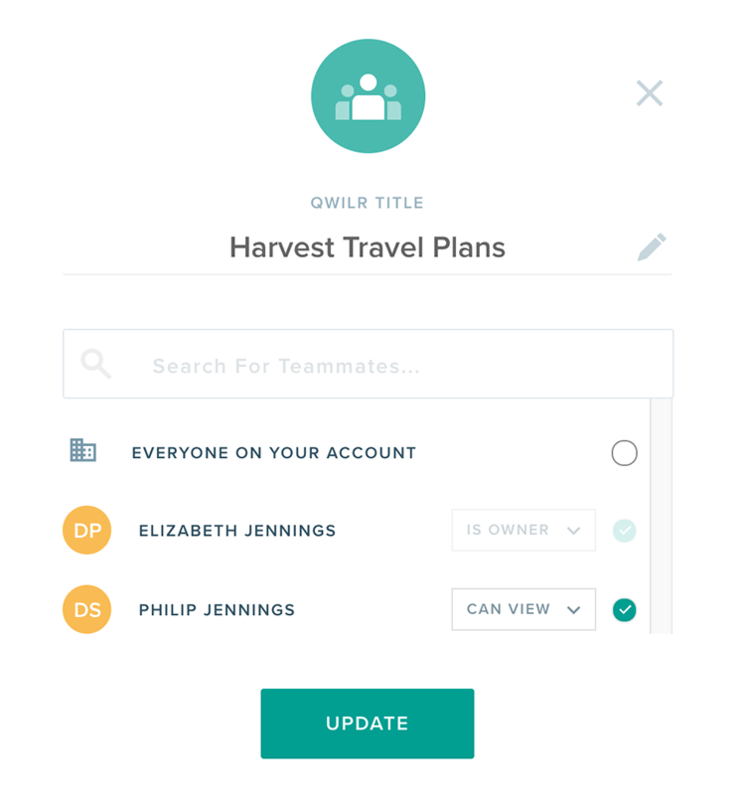 Within Qwilr you'll be able to share your Qwilr Pages both internally with your colleagues or externally. 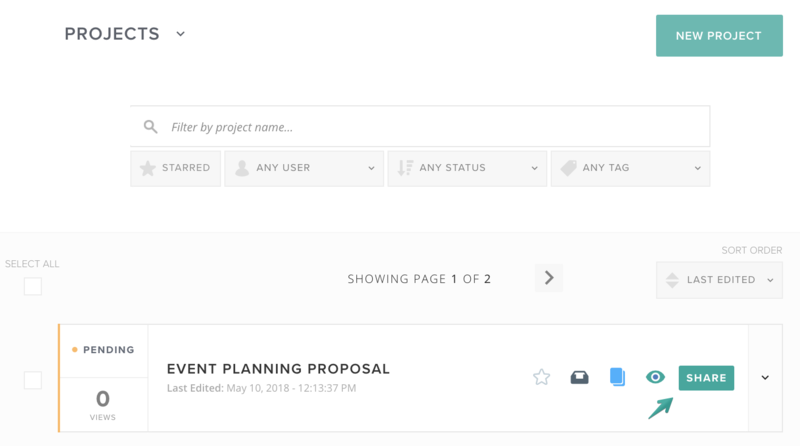 If you want some feedback or need to receive approval, you'll be able to share your Qwilr Page internally. 1. To do this, click on the people icon in your editor window or on the currently shared with names from your dashboard. 2. From there, choose the colleague(s) you want to share with. Using our Permissions setting you can decide how the Qwilr Page is shared. You can make it so they can only view it or that they can edit directly. They'll need to be logged into their account in order to view. If they're not logged in they'll see a not found error until you've set the page live. 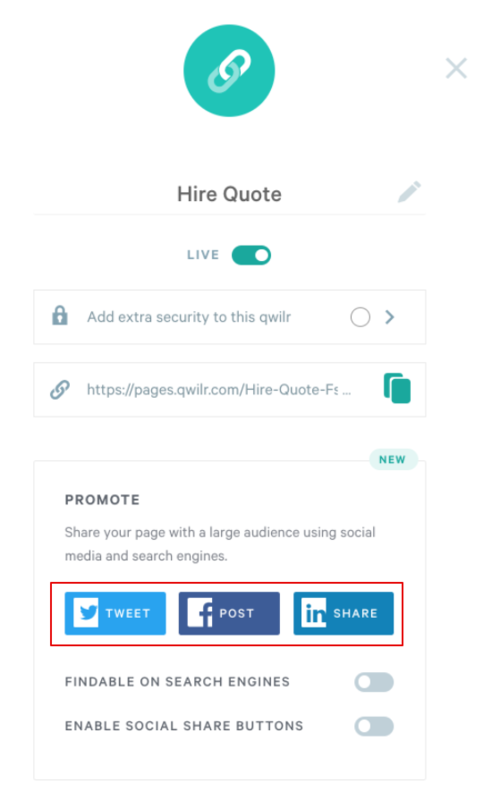 Once your Qwilr Page is ready, you'll want to share it with your clients. 1.Switch the toggle to Live. Until your it's is live it won't be visible to anyone who isn't logged in. 2. Once it's is live, you'll be able to click on the Sharebutton. 3. From there, you'll be able to set your security settings and then copy the URL to your page to share with your clients. 2. Once you're on the Share screen switch the toggle to Live. 3. From there, you'll be able to set your security settings and then copy the URL to your Qwilr Page to share with your clients. 1. Click on the Share button from the Dashboard or from the Edit Screen.